At Brooks Dental, we want to help you keep oral health problems away for a lifetime to come. 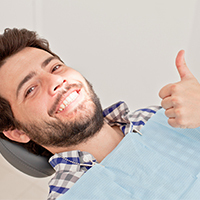 Unfortunately, many adults will still experience moderate to severe cases of periodontal (gum) disease. 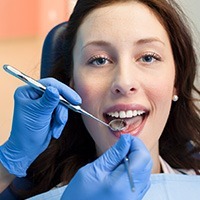 Visiting our dental office every six months is a great way to ensure you aren’t surprised by a significant periodontal infection -- but if you do find yourself dealing with persistent bad breath, swollen and tender gums, and the other side effects of gum disease, the team at Brooks Dental can help. 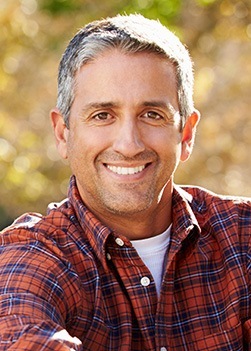 Why Choose Brooks Dental for Preventive Dentistry? Every patient, both young and old, needs to be visiting the dentist’s office at least twice each calendar year. Why? 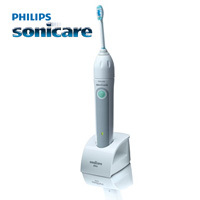 Because even diligent brushers and flossers can end up with concerning dental problems that go unnoticed by untrained eyes. At Brooks Dental, our knowledgeable team will be able to pinpoint them in the earliest stages during a dedicated professional checkup and provide effective treatment that potentially saves you from more extensive damage and cost down the road. Additionally, our talented hygienists will eliminate decay-causing plaque, tartar buildup, and minor staining from the oral surfaces during a thorough cleaning. Periodontal disease (also known as gum disease) is the number one cause of tooth loss among adults here in the United States. This oral infection is no laughing matter, and our team works hard to help patients avoid it through focused preventive care and effective therapy options. 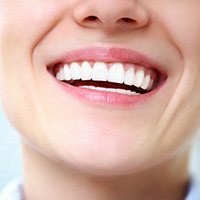 We also have an in-house periodontist who provides specialty services to restore much-needed health to teeth and gums once damage is already present. 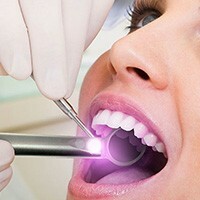 Did you know that on average, one person dies from oral cancer every hour? Catching this dangerous condition in the earliest stages possible can make a world of difference for our patients, which is why the Brooks Dental team has integrated dedicated screenings into regular preventive appointments. A thorough examination of the tongue and oral tissues will shed light on any concerning indications, such as discoloration and lumps. If needed, questionable lesions can be tested with an Oral CDX brush biopsy to determine if cancerous cells are present. 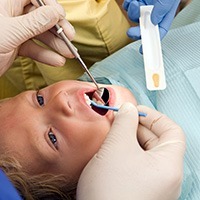 Dental sealants are an excellent and very easy way to help younger patients enjoy healthier teeth as they’re still learning how to brush and floss. A sealant is a thin, protective layer made from safe, plastic-based materials. It is applied over the surfaces on the chewing surfaces of back teeth (the premolars and molars), and it acts as a barrier from food particles and harmful bacteria. As a result, your son or daughter greatly decreases their risk of developing cavities in these hard-to-reach areas! If you’ve got passionate athletes in the family, we strongly recommend investing in a custom-made sportsguard from Brooks Dental. 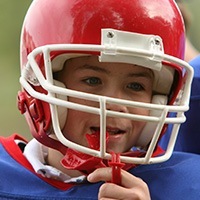 Unlike “one size fits all” appliances from the local sports store, these high-quality devices are designed with a patient’s comfort in mind, providing a secure, flexible fit that keeps teeth safe from harm while still allowing for easy breathing and speaking throughout the big game. Bruxism (the fancy term for “teeth grinding”) is a very common oral health problem that can affect people of all ages. If you’re regularly waking up in the mornings with a sore jaw and lingering headaches, it is likely that you grind your teeth at night without even realizing it. Thankfully, our team can help protect your smile from continuing wear with the support of a custom-made nightguard. This sturdy device will establish a tough barrier between the top and bottom teeth, minimizing dangerous contact as you rest easy. At Brooks Dental, we love welcoming in the whole family for ongoing care! 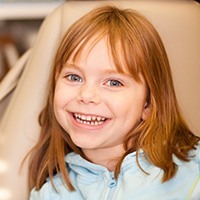 Our dentists can treat infants, toddlers, school-aged children, teenagers, and everyone who falls somewhere in-between, supporting their growing smiles at every major stage of development by providing gentle, friendly services that are well-suited to their current level of emotional maturity. Many of our preventive services are very well-suited for younger teeth, such as dental sealants, fluoride treatments, and more. Most people think bad breath is a result of what is going on in our stomachs. But that is not the whole story. The actual odor of halitosis is generated by bacteria thriving in the mouth under the gums, and in the nooks and crannies on the teeth and the surface of the tongue. Left untreated, these bacteria create volatile sulfur compounds that have a characteristic “rotten egg” smell. Most people would probably like their breath to be more pleasant than that. 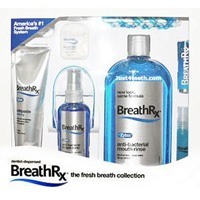 And this is precisely what the Breath Rx™ System is designed to do – give you pleasant smelling breath. Come in to find out more! Preventive dentistry in Winthrop is the ticket for ensuring that you receive prompt gum disease treatment when you need it. When was your last visit to Brooks Dental? If it’s been more than six months, it’s time to come see us! Request an appointment with our team today.